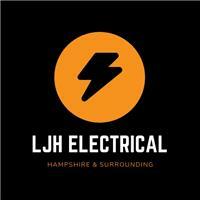 LJH Electrical - Electrician based in Havant, Hampshire. Welcome to LJH Electrical. We offer a full range of services that includes domestic, commercial and Industrial with a friendly, reliable and professional service throughout all of our work no matter how big or small. We are full scope NAPIT & Part P certified so you can be sure that all work carried out by us is to the highest quality and standards. From residents, landlords and business owners to building contractors, here at LJH Electrical we have a long list of satisfied customers who come back to us each and every time they need electrical work undertaken. With over 14 years experience you can be assured that your are receiving only the very best service, quality and price within industry today. Please contact for any further information or Advice using the details supplied above.